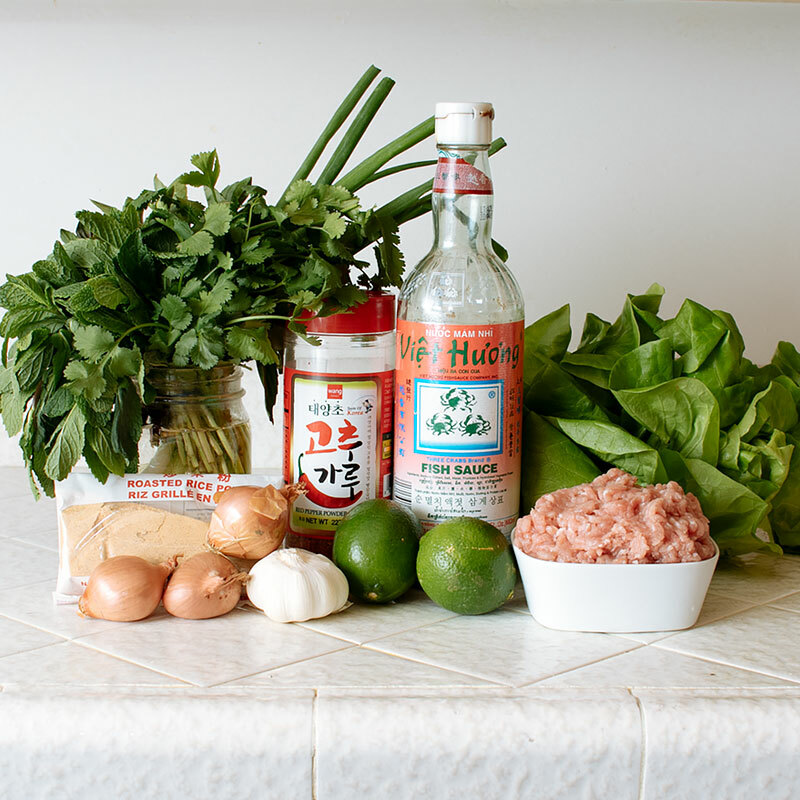 Larb is one of my faaaavorite dishes! It’s Laotian in origin, but some Thai and Vietnamese restaurants have it on the menu as well. I had no idea how easy this was to make! 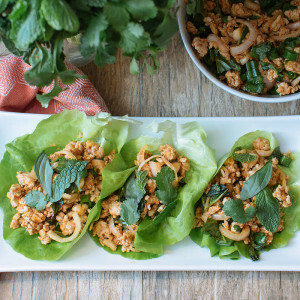 There are a lot of flavors that compliment each other well in this recipe – the sourness from the lime, umami from the fish sauce , and brightness from all of the fresh herbs. The only ingredient that you may have some issues finding at a reg’la grocery store is the toasted rice powder. But don’t fret, you can order it online or just make it yourself – see the notes at the end of the recipe for instructions. As far as the protein goes – use what you like. 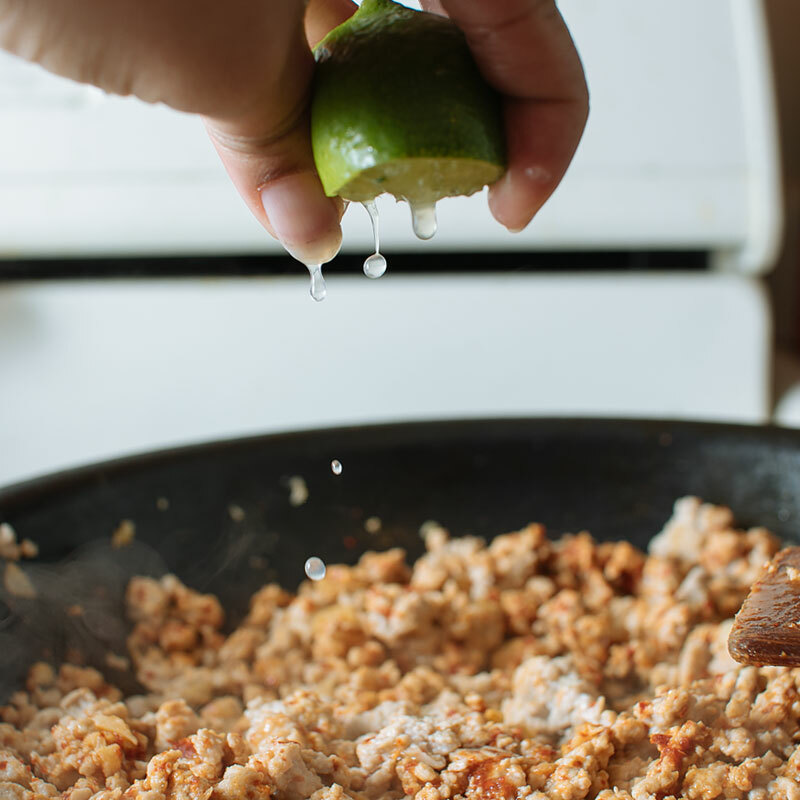 Any lean, ground meat would be great in this recipe. I’ve had it with ground turkey and ground beef and it was fantastic. See more nutritional info below the recipe! 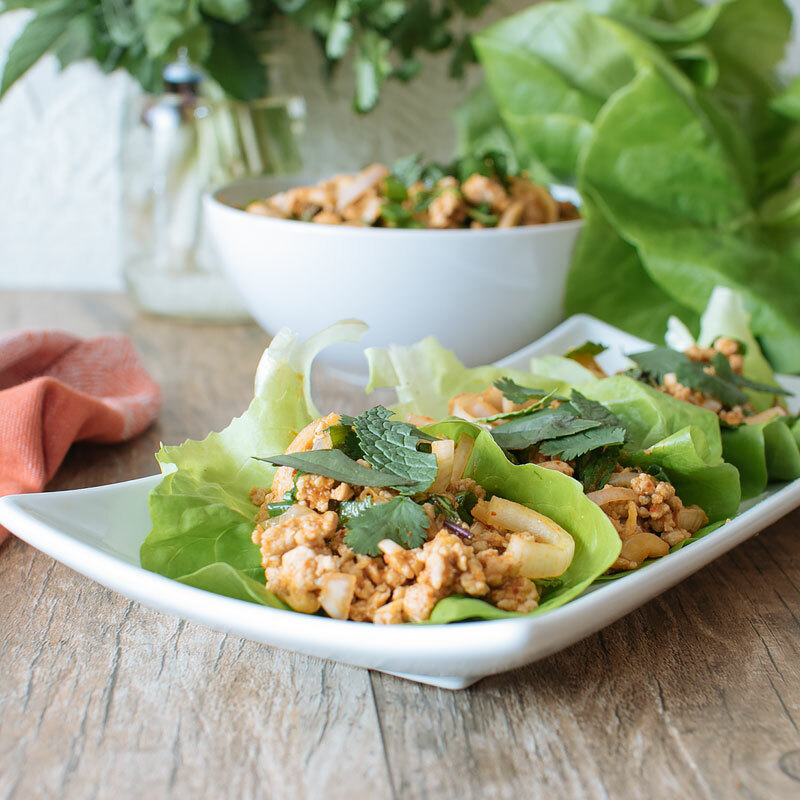 You’ll need Thai basil, mint, green onion, chili flakes, fish sauce, butter lettuce, ground pork, limes, garlic, shallots and toasted rice powder. Mise-en-place! 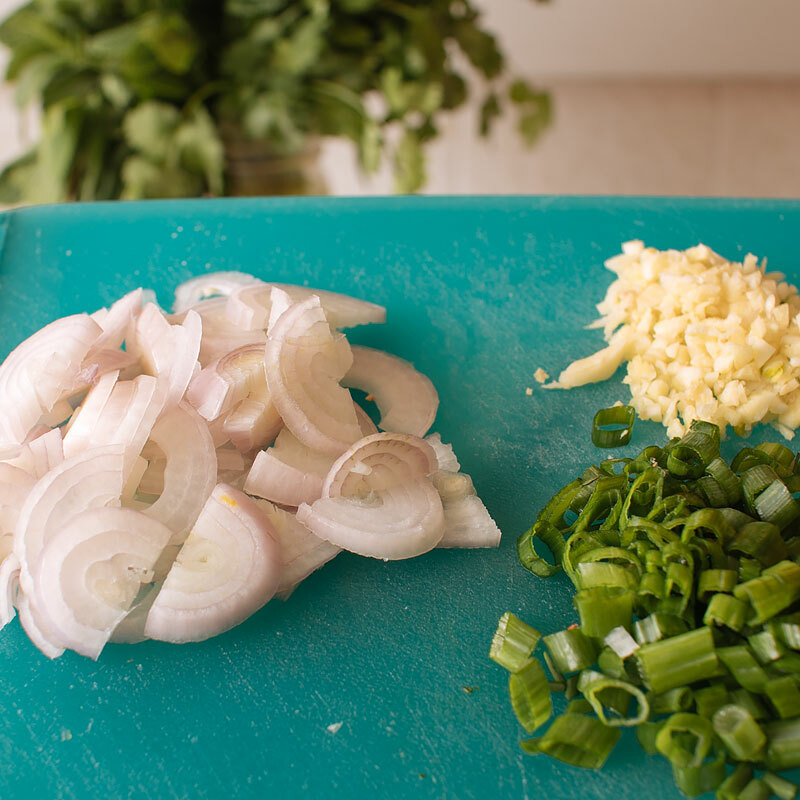 The French term meaning “putting in place”; this is what makes cooking a breeze – chop everything that needs to be chopped before you start cooking. This is toasted rice powder. If you can’t find this in your Asian grocery store, you can make it yourself by adding 1 tbsp of rice to a dry pan and heating over medium, shaking the pan, until the rice is evenly browned, about 3 minutes. Then use a spice grinder or a mortar and pestle to grind into a powder. 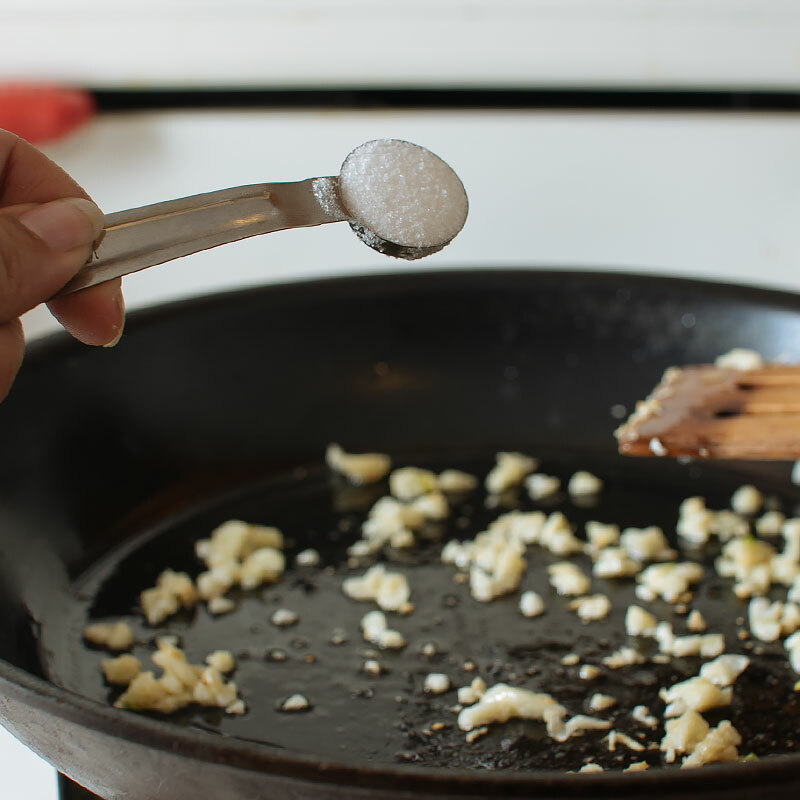 Heat the oil in a skillet over medium heat and cook until it begins to brown, about a minute. Add in the sugar and stir, cooking another 30 seconds or so. Add in the ground pork. 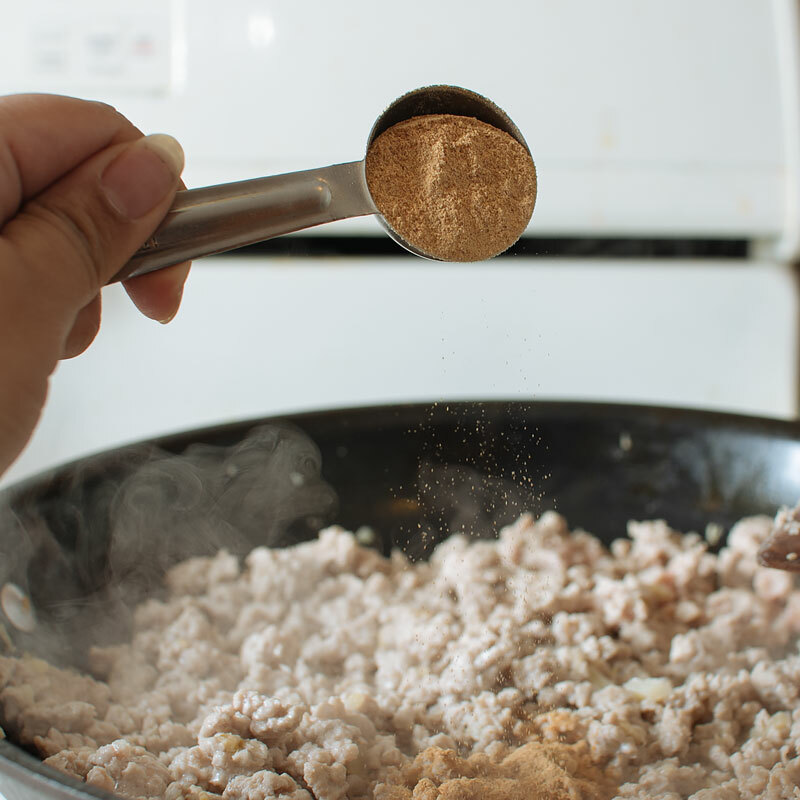 Using a wooden spoon, break the pork down into pieces while it cooks. Cook until no longer pink. … and the fish sauce. 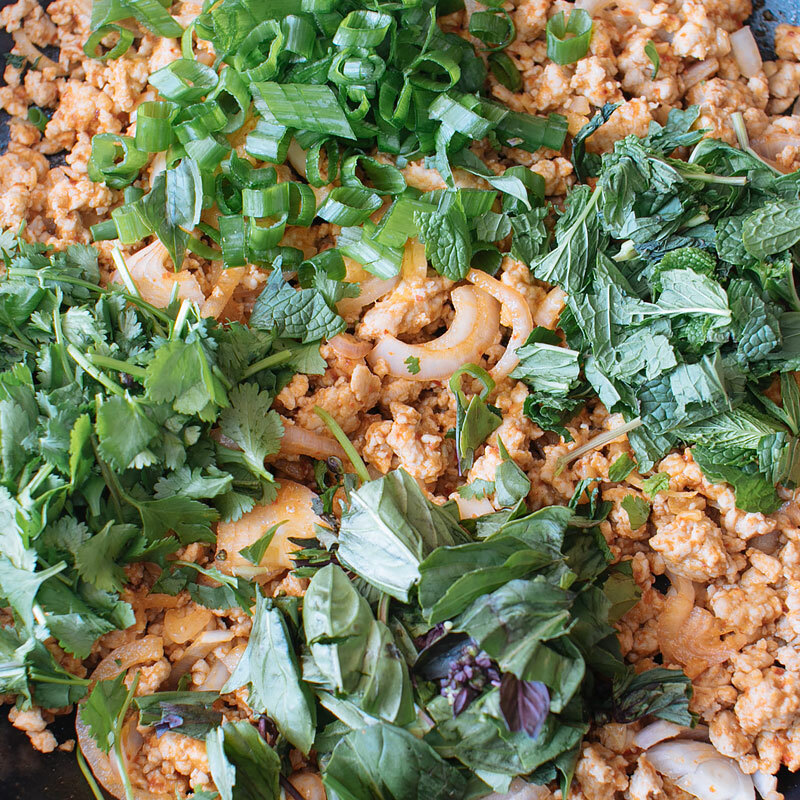 Remove the pan from the heat and add in the chopped green onion, Thai basil, mint and cilantro. Stir to combine. Now, taste it. Does it need more spice? More sourness? More salt? Adjust the seasonings to your taste. I love this dish sour, so I add another half of lime juice or so. 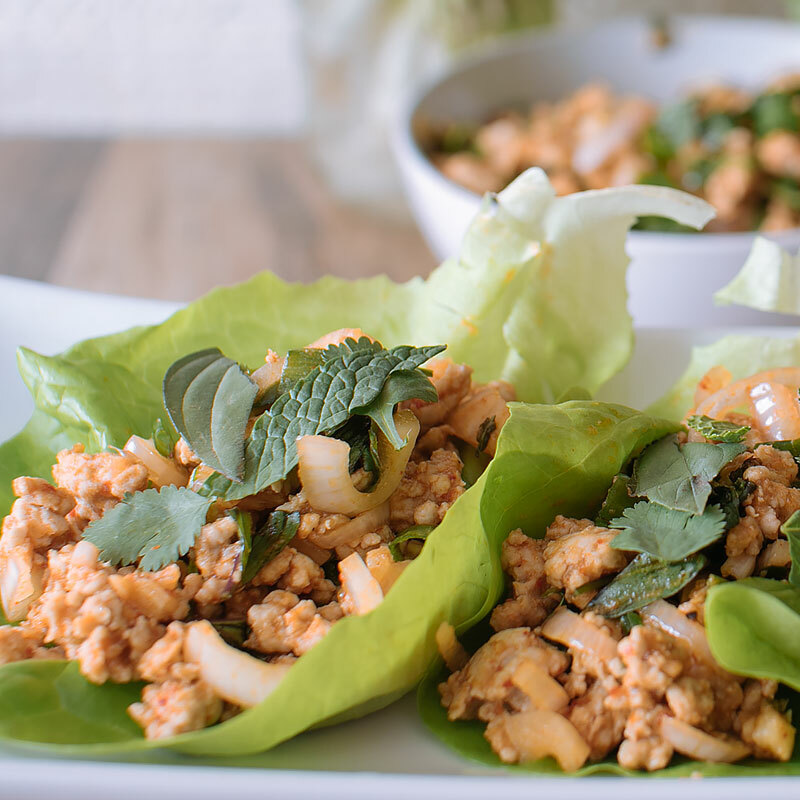 Place about 1/4 cup of the larb into each lettuce cup. Garnish with additional torn herbs and lime wedges. SO GOOD. 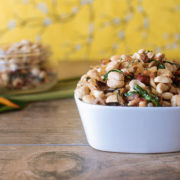 If you want a more filling meal, serve with sticky rice or brown rice. 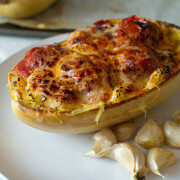 I like ’em just like this – easy peasy, simple, full of flavor, healthy and deeeeeelicious! In a skillet over medium heat, heat the vegetable oil. Add in the garlic and cook just until it begins to brown a bit, about a minute. Add in the sugar and cook another few seconds. 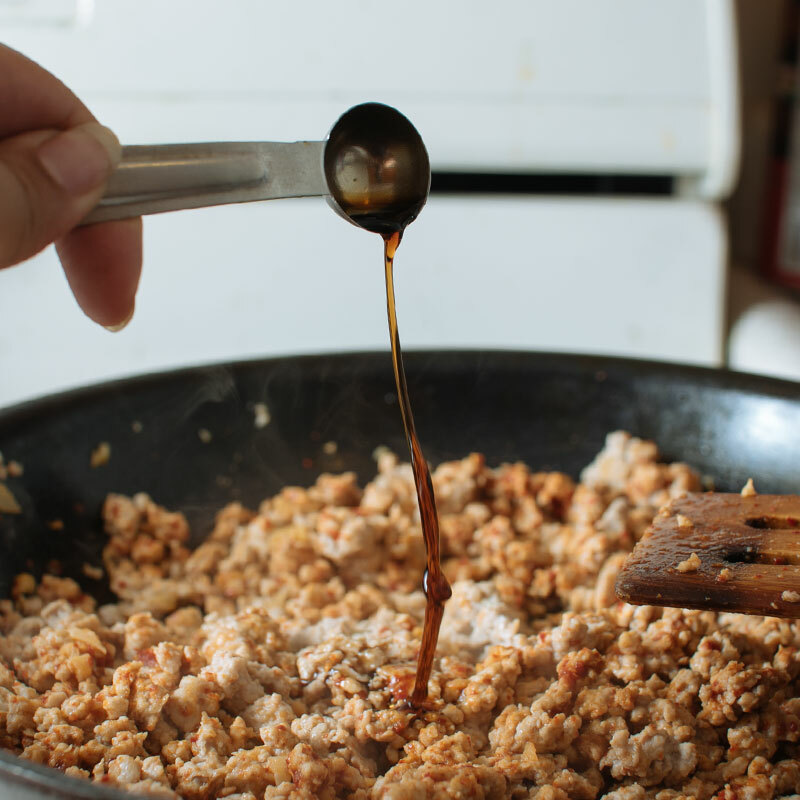 Add in the ground pork and turn the heat up to medium high. Break the meat up into small pieces using a wooden spoon and cook until no pink remains. Add in toasted rice powder, chili flakes, juice from 1 lime and the fish sauce. Stir in the shallots. Remove the pan from the heat and add in green onion, Thai basil, mint and cilantro, reserving a bit of each of the herbs for garnish, if you like. 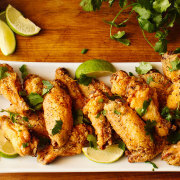 Mix together and taste - adjust seasonings (fish sauce, lime juice, salt, pepper, chili) as desired. I like this dish quite sour, so I tend to add a little more lime juice and another little splash of fish sauce. 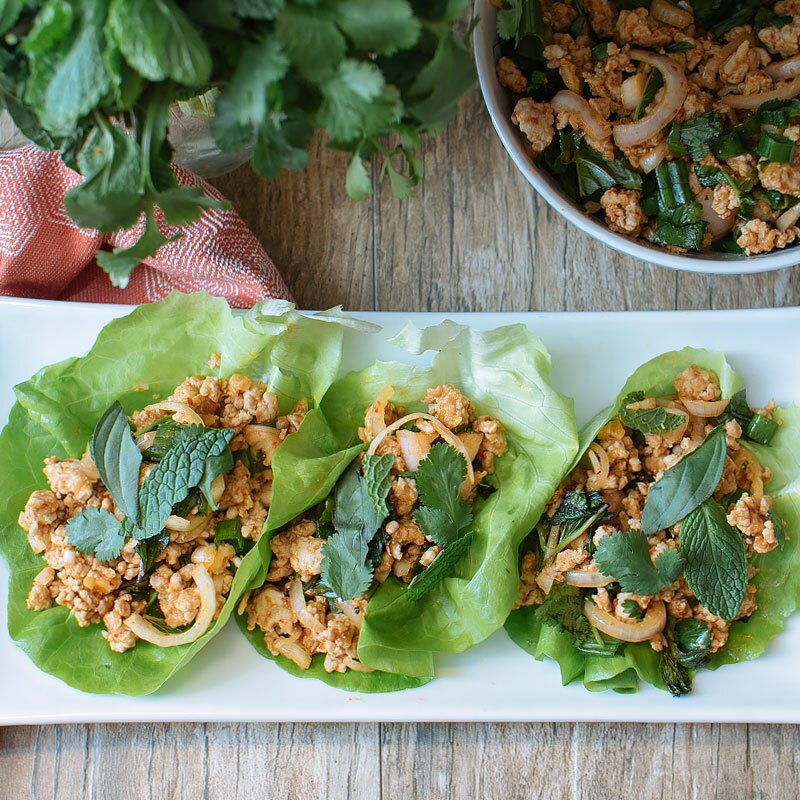 Place about 1/4 cup of the larb into each lettuce cup and garnish with herbs. 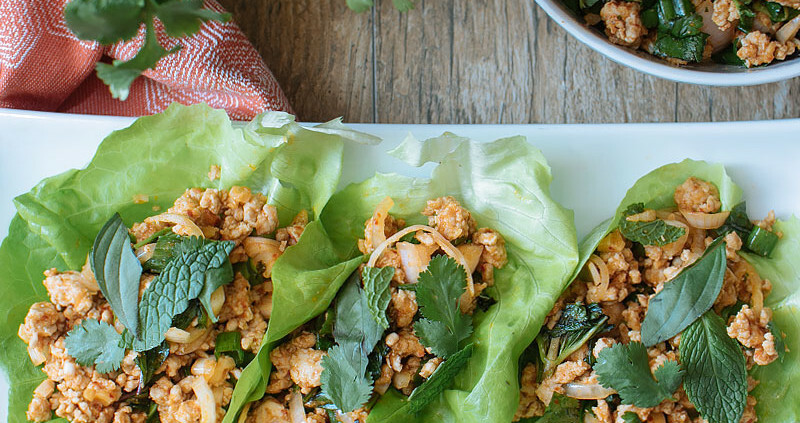 One serving = 3/4 cup of larb, enough for about 3 lettuce cups. 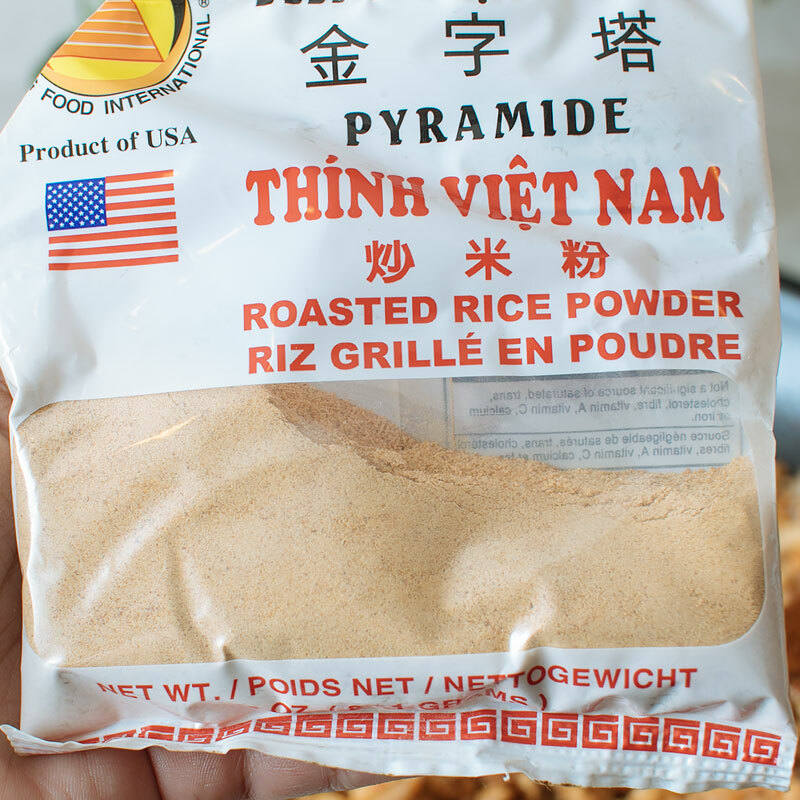 Toasted Rice Powder - If you can't find this item in your local Asian grocery store, you can easily make it yourself. In a medium skillet, toast the rice over medium heat, moving the pan around to ensure the rice toasts evenly, about 3-5 minutes. Transfer the rice a bowl and let cool slightly. Using either a spice grinder or a mortar and pestle, grind the rice into a powder. Thai Chili Flakes - these aren't the same as the chili flakes you get to sprinkle on top of your pizza - it's more a dehydrated, ground chili. I'm using the Korean kind, use what you can find or omit completely. 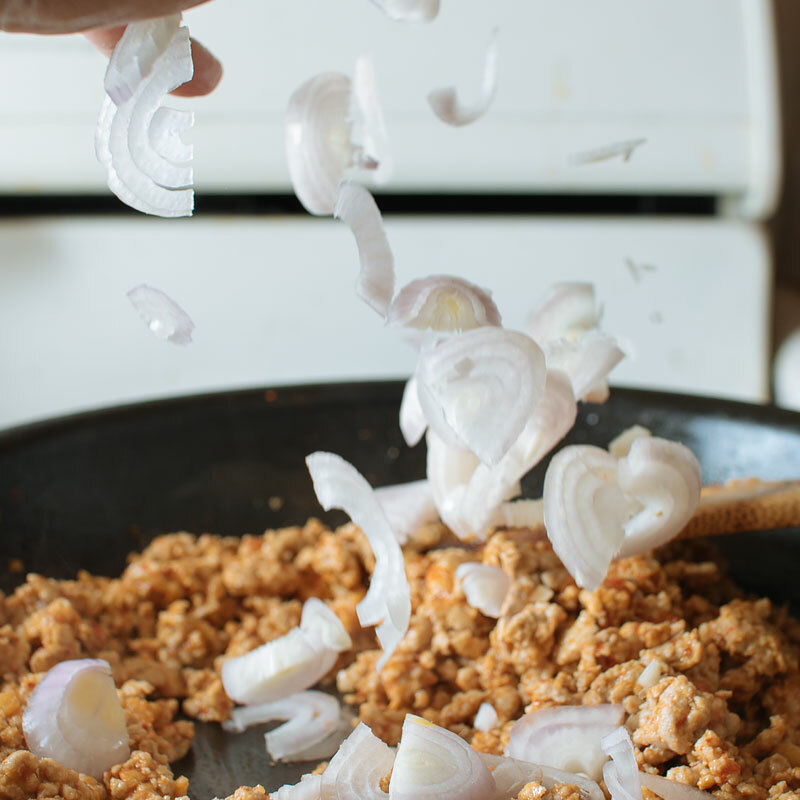 Ground Pork - You can pretty much substitute any kind of ground meat in this recipe and it'll be deeeeelicious. 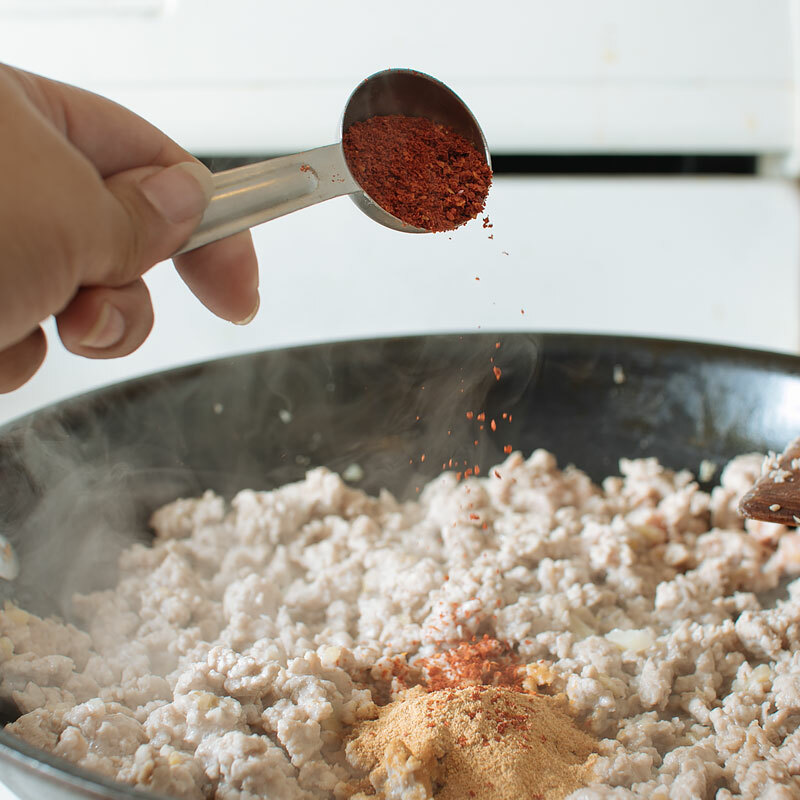 I've also done this with lean ground turkey with great results. Nutritional information is estimated based on the recipe above. 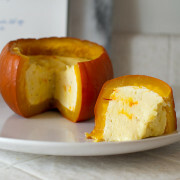 Any modifications to the recipe are not reflected in the estimations. Mmmm, this is a fav of mine too. So bright and fresh and succulent.